You are making a significant life decision to change or enhance something about yourself, so your choice of medical specialist is important. Dr Ong is a West-Australian trained specialist surgeon. He completed his MBBS (or Medical degree) at the University of Western Australia, WA’s oldest and most prestigious Medical school. After graduating medical school in 1999, Dr Ong underwent 10 years of focused Surgical Training in Perth, successfully completing specialist training in General Surgery and obtaining his FRACS qualification (Fellowship of Royal Australasian College of Surgeons) in 2009. 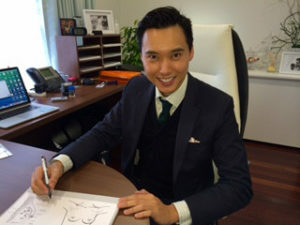 Dr Ong completed further training in Breast Surgery in London & Paris, with a Post-Fellowship in Breast Oncoplastic Surgery – Breast reconstruction for Breast cancer patients and Breast cosmetic surgery. He has worked at the prestigious Royal Free Hospital in London and the world famous Harley Street Clinic in London. After completing his fellowship in London in 2012, he returned to Australia with his young family, and joined the Surgical Department in Bunbury, Western Australia. He now runs the Breast Cancer Service, which provides life-saving Surgery, Chemotherapy and Radiotherapy services for his patients. He currently operates on public and private patients in Bunbury Hospital, Busselton Hospital and St John of God private Hospital Bunbury, as well as the Montserrat Bunbury Day Hospital private facility. Breast Augmentation or Breast Lift may be the solution that you’ve been looking for. Feedback from his patients is that Dr Ong is a professional and approachable surgeon, who achieves excellent results from his surgery. When you arrive for your pre-op consult you will feel at home and comfortable in his beautifully appointed consulting rooms. His professional and helpful team of staff will walk you through the process every step of the way. During the consultation process, Dr Ong will personalise the surgery to your body shape, your personal preferences and your lifestyle.